As a small business owner you should evaluate if you should hire your own IT employee or consider outsourcing your IT to an IT Service Provider or Managed Service Provider (MSP). Nine times out of ten, Owners take the more traditional approach and hire a single IT employee, and unfortunately that decision to hire one IT employee rarely works out. If you are curious why I feel a single IT employee rarely works out take a look at this blog. Today I will focus on the economic comparison of IT in-house (doing your own IT) versus outsourcing your IT to an MSP. Let’s consider the cost for a typical small business initial IT employee. If we can agree on an annual salary of $45,000 for someone in the Philadelphia region with one or two years network administration experience, and we add on all of the burdened costs (Employer Social Security, Federal Unemployment, Medicare, a 401K contribution and a single persons health insurance) is it fair to add an additional 25% to the salary? Your first IT employee is costing your firm $45,000 X 25% or $56,250 a year. Of course your mileage may vary; I think this is a fair estimate and will be useful for my economic analysis. The next set of costs is the proactive IT tools that should be purchased by your IT employee to insure you have a good result with your IT systems. If you are interested in a more in depth look at what proactive IT effort is and why it’s important take a look at this blog. The two most important proactive disciplines that your IT employee must do are Anti-virus and Spam/Malware. For the sake of simplicity let’s assume you can license the software for $15 per PC and Server per month for an annualized cost of $15 X 12 months or $180 per device per year. Ideally, your IT employee has also purchased a service incident ticketing system and an automated toolset to insure your PC’s and Servers are being patched every week, but lets keep these costs outside of our analysis to keep the comparison simple. 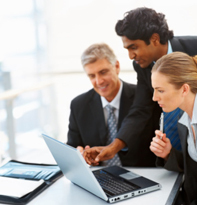 The IT Service Provider will have numerous service plans and pricing options. They will range from the simple and least expensive Time & Materials hourly rates, to prepaid block-of-hour plans. Either of those approaches to IT are solely reactive in nature and don’t include all of the IT proactive disciplines that are necessary to insure your company gets a good IT result: read this blog if you want to learn more about reactive IT provider plans. The best way to fairly compare an internal fulltime IT employee to IT outsourcing is to purchase a Fixed-Monthly-Fee, all you can consume, reactive & proactive IT plan. These plans typically include a periodic meeting with an outsourced Chief Information Officer (CIO) to assist in budgeting, planning and reviewing the IT work that is being done on your behalf each month. Using our pricing information let’s compare monthly payroll costs of IT in-house to the monthly IT outsourcing prices and try to determine a breakeven point using five typical small business IT infrastructures. I will project out the small businesses annual costs with 10 PCs all the way up to 200 PCs. Choose the business size that most closely represents your company. Or better yet use my numbers and determine your own annual IT in-house and IT outsource pricing. Our next blog will focus on businesses that have yet to hire a single IT person. 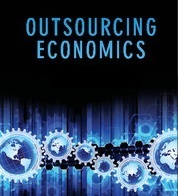 Did you notice that at no time was IT in-house less expensive than IT outsourcing? IT outsourcing for a small business is always less expensive than doing IT yourself! But I feel there is much more to this story. Remember we used a single IT employee to model out our internal IT costs? There is no way a single IT employee is going to successfully support 100 or even 200 PCs by them self. Your employees get sick, they take week long vacations; once you are large enough to have 75, 100 or even 200 PCs you and your employees are not going to tolerate having no IT support in place during your single IT employees’ week long vacation. So the truth is as you grow through 75 to 100 PCs the IT payroll would most likely double (which we did not add to our analysis.) As you grow through 100 to 200 employees IT outsourcing becomes even more compelling because your internal IT costs to successfully deliver reactive and proactive IT support will cost two to three times more than we have modeled here. We have just compared your potential IT payroll costs versus outsourcing your IT from a simple economic standpoint. There are even greater operational benefits to IT outsourcing: your IT Service Provider should have 20 or more IT experts, each with unique, deep expertise in very specific IT disciplines such as Routers, Firewalls, VoIP phone systems, Virtualization, Back up and Disaster recovery. Hiring a single entry level IT employee pales in knowledge and expertise that an IT Service Provider can bring to your company when needed. When you outsource your IT, you will never have another IT sick day, or IT vacation day or even an IT employee asking for a raise or quitting with just two weeks notice. IT outsourcing is the perfect solution for a growing small businesses that need to focus their employees and payroll on the growth of the core business and not become distracted with ineffective and costly IT employees. I would love the chance to talk to you about your business and your IT needs, click here if you would like to meet and discuss IT outsourcing. If you were not ready to talk, perhaps you would like to download one of our IT outsourcing whitepapers here.